Results of a clinical study with THC in nine brain cancer patients conducted in a hospital on Tenerife, Spain, were published in the British Journal of Cancer. Patients suffered from a gioblastoma, a very aggressive brain tumour, and had previously failed standard therapy (surgery and radiotherapy). Median survival was 24 weeks. Two patients survived nearly one year. THC was administered directly into the tumour by a small catheter, whose tip was placed into the tumour during a surgery. The initial THC dose was 20-40 micrograms, which was increased to 80-180 micrograms daily. Patients were treated for 10-64 days. The treatment was well tolerated by all patients. The tumours of the nine patients expressed different amounts of CB1 and CB2 receptors, but there was no correlation between receptor expression and survival. Due to the study design it was not possible to determine the effect of THC on survival. This would have required a control group with no or with a different treatment. A comparison with survival in pilot studies with other drugs suggests that THC may have been beneficial to the patients in this study. 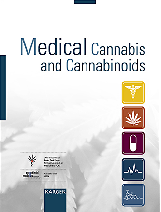 Researchers noted that THC at least did "not facilitate tumour growth nor decrease patient survival." They suggest further trials with cannabinoids on this and other types of tumours either alone or in combination with other anti-tumoural drugs. On 5 July, the Federal Institute for Pharmaceuticals and Medical Products sent identical letters to applicants for permission to use cannabis for medicinal purposes, in which the institute requests additional information and documents. Referencing provisions of the Federal Narcotics Control Law patients are also asked to comply with requirements, which at best can be met by pharmacies or pharmaceutical companies. For example, they demand the storage of cannabis in a safe or in rooms made of reinforced concrete and a certificate documenting the patient’s experience in the handling of narcotics. If the cannabis were to be imported from abroad, the Institute would require importation permits for each purchase. The Institute asks applicants to respond by 31 August or to request an extension. The chairman of the German Association for Cannabis as Medicine (ACM), Dr. Franjo Grotenhermen, points out that in Canada and in those states in the USA, where the medical use of cannabis is allowed, no such demands are made of patients. In addition, patients who are prescribed opiates in Germany are allowed to store a ration that suffices three months. "Even after the 2005 ruling by the Federal Administrative Court the Institute has been trying by all means to prevent patients from gaining legal access to the medical use of cannabis," he said. "The demands of the Federal Institute for Pharmaceuticals and Medical Products contradict the spirit of the court ruling." The Federal Administrative Court stated in its ruling of 19 May 2005 that "in particular in the case of cannabis" the federal institute needs to consider granting a permission for cultivation by patients. This year's meeting of the ICRS (International Cannabinoid Research Society) took place on 25-28 June near the Lake Balaton in Hungary. 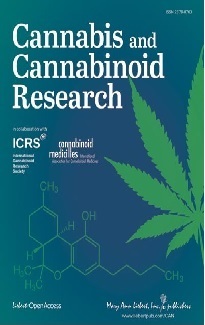 This year the book with the abstracts of all talks and posters will be made available for free on the website (www.cannabinoidsociety.org) within soon.